Digital TrunkTracking Scanner with Built-in Nationwide Frequency Database & Free Database Updates! 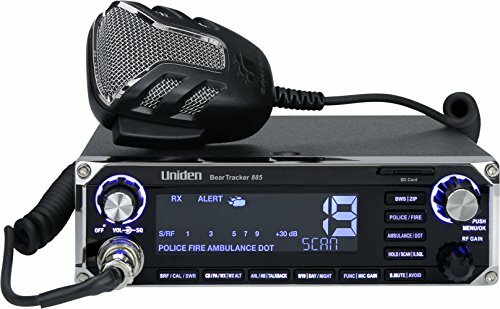 Also a Full 40 Channel 2-Way CB Radio Transceiver with 7 Color LCD Display & PA Capability! ANL/NB/Mic & RF Gain, TalkBack, S/RF SWR Meter and More! Scanner Features APCO P25 Phase I & II, LTR, EDACS, Digital and Analog Trunking , WX. * Included GPS Functions Allows This Radio to Set Nearby Scanner Channels Automatically From It's Buil-in Database, WOW!